Download a sample list of available titles and additional research resources at UCLA in PDF format. Benny’s family donated to UCLA his personal, professional and business papers, as well as a collection of his television shows. The comedian’s film and television careers are widely represented in the Archive collections. They include seven films made for Paramount in the 1930s and 1940s: College Holiday, The Big Broadcast of 1937, Artists and Models, Artists and Models Abroad, Man About Town, Love Thy Neighbor and Buck Benny Rides Again. 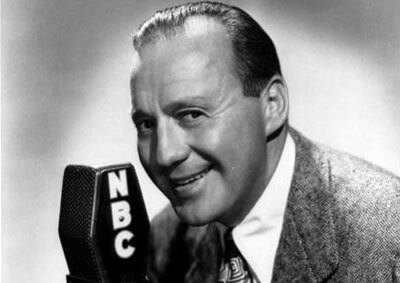 There are more than 220 episodes of The Jack Benny Program, including the debut program and several specials broadcasts after the series ended its regular run. The UCLA Library Special Collections holds the Jack Benny papers. The collection includes 900 radio scripts and electrical transcriptions from 1932 to 1955, and 296 television scripts for The Jack Benny Program. There are also scrapbooks, business correspondence, photographs and production stills for the years 1929-1940. To arrange onsite research viewing access, please contact the Archive Research and Study Center (ARSC).